Have you ever been discouraged by the numbers on the weighing scale after a few weeks of exercising and eating right? Most people think that the numbers on the scale are the only way to measure your weight loss journey, but that simply isn’t true. The scale doesn’t give you the whole story about how your body is changing and getting healthier. Below are a few ways you can assess your weight loss journey without even looking at the scale. Your face has a healthy glow. Working out makes you sweat, which detoxifies your body—including its biggest organ: your skin! The more you exercise, the more your body is working to remove everyday environmental toxins and free clogged pores. After a few weeks of exercising and making healthy eating choices, you’ll start to notice major skin improvements and a healthy glow. You see a difference in photographs. A picture speaks a thousand words. Pick your favorite workout outfit and take a photo of yourself in the mirror. Take a photo from the front as well as the side. In a couple of weeks, put on that same outfit and take another photo. In doing this, you’ll be able to see the changes you might not notice when you look at yourself in the mirror every day. Continue doing this for about six months, and you’ll be surprised how amazing it feels to compare the results and see your progress. We all have that one pair of jeans that we don’t quite feel cute in, and we dream of fitting into them again. After sticking to your exercise and nutrition routine for a couple of weeks—or months—pull out those jeans and try them on. Whether you have to do a dance to get them on, or you can’t quite fasten that final button, it’s a good way to start tracking your weight loss. Try them on every few months, and you’ll be surprised at how good you feel when they get easier to slide into. This is an amazing way to track your progress. Plus, feeling comfortable and confident in your clothes is a better result than anything a scale could tell you! You have more energy during the day and sleep better at night. When you make healthy lifestyle choices, you see a positive impact on your energy levels as well. If you’re noticing an increase in energy and getting more done in your day than usual, it means you’re on the right track! Taking your measurements can help boost your confidence and ensure you are moving toward your goals. Wear tighter workout clothes for more accurate measurements. You could even do this at the same time as you take your selfie. Stand normally and follow the steps below to properly measure: Chest: Measure around the fullest part of your chest; Waist: Measure approximately one inch above your belly button; Hips: Measure around the widest part of your hips; Thighs: Measure your upper leg where the circumference is largest; Arms: Measure midway between the top of your shoulder and elbow. You can create a progress chart in a journal or through an app on your smartphone to record your measurements. Continue this process once a month to track the inches you’re losing. If you’re working out and eating healthy, there is no denying that your body is changing—even when the scale says something different. Regular exercise trains your heart to pump blood more efficiently, improves circulation, increases energy, and makes you stronger in mind and body! You will also notice strength and muscle definition in your arms and legs. 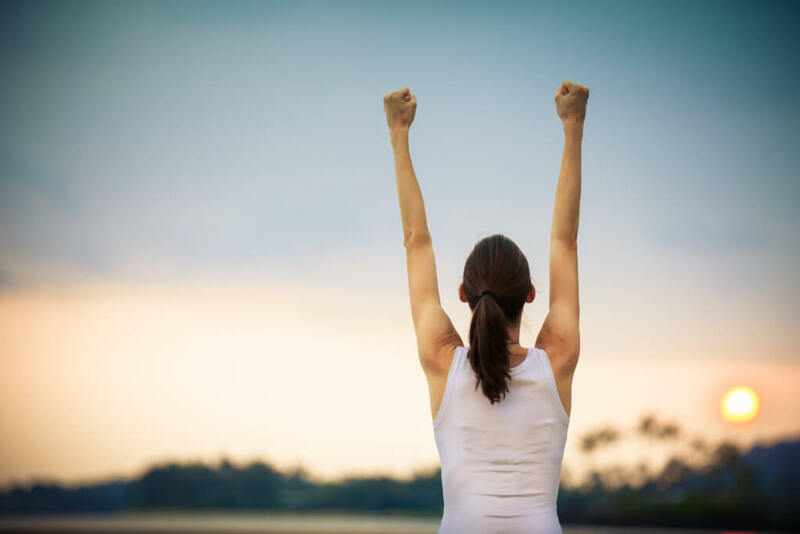 It’s hard to get excited about weight loss if we don’t like the numbers on the scale, but try some of these tips to measure your progress and be sure to celebrate your wins! The post Celebrate your non-scale victories during your weight loss journey appeared first on go.shaklee.com.